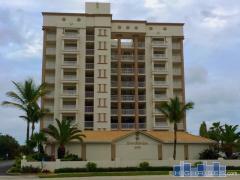 2100 Tower is a 12-story high-rise condo building in Cocoa Beach. This beachfront building offers a wide range of amenities including a heated outdoor swimming pool, fitness center, tennis court and more. 2100 Tower is one of the tallest condo towers on the entire Space Coast of Florida. Have any comments or questions about 2100 Tower? Ask your question and/or share your thoughts about this Building.